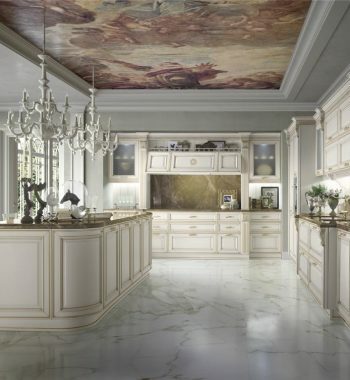 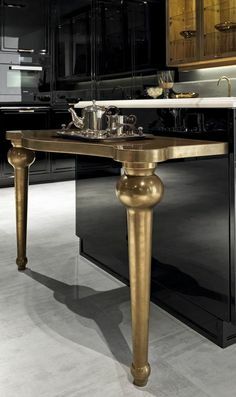 A newfound antiquity, in a kitchen that modernizes the values of elegance and of good conviviality. 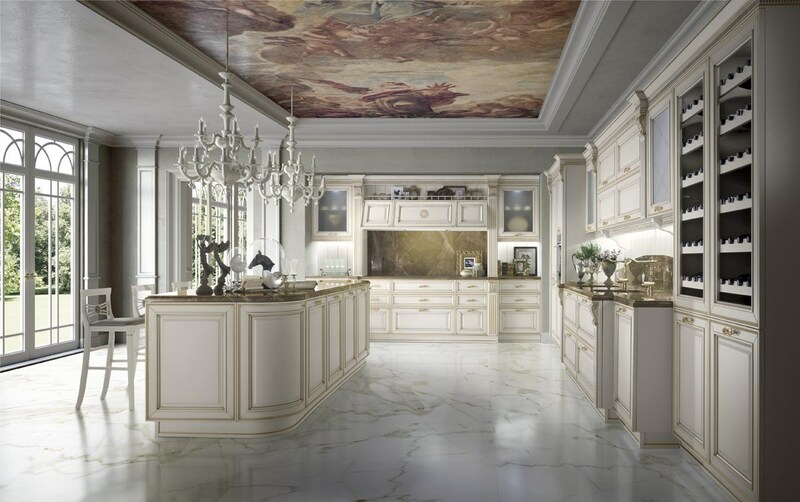 The classical kitchen finds a new contemporary spirit and a new life in its details, in the beauty of finishes and decorations. 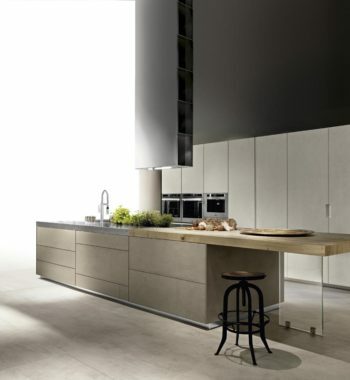 An important peninsula, with characterizing elements such as the door with double or single grooves. 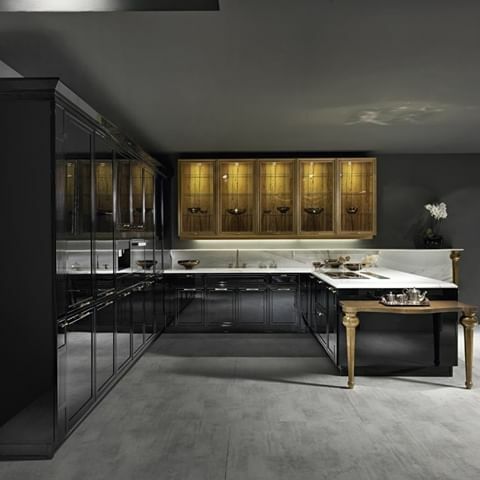 Made in glossy lacquer, the two side capitals are decorated and the knob handle is in style. 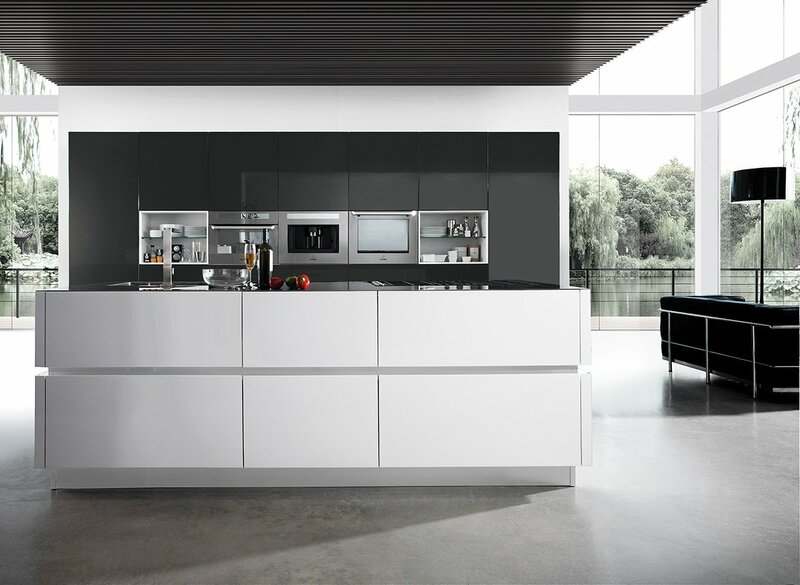 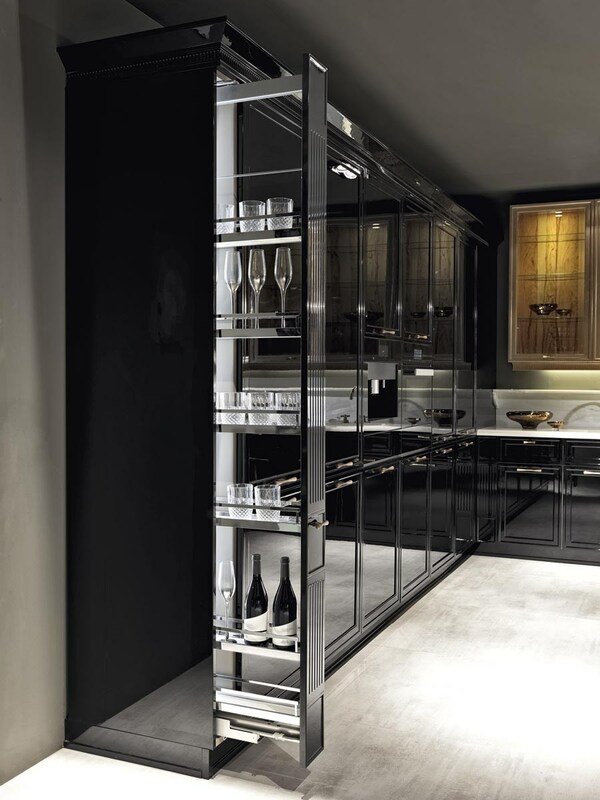 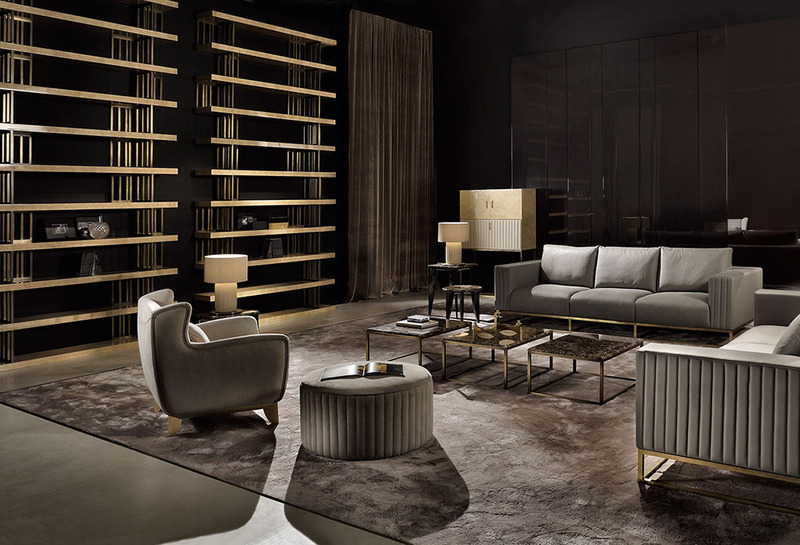 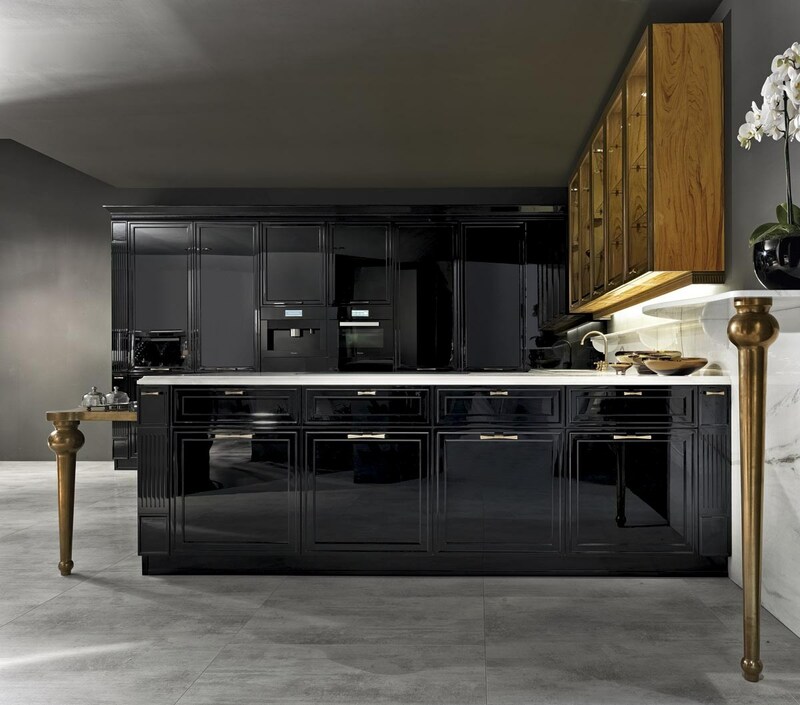 The base units and the columns are in black gloss lacquer. 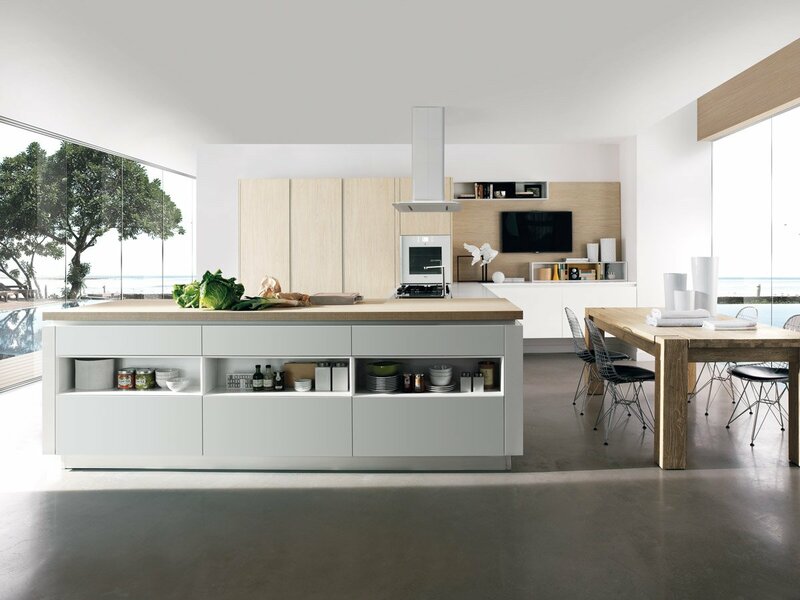 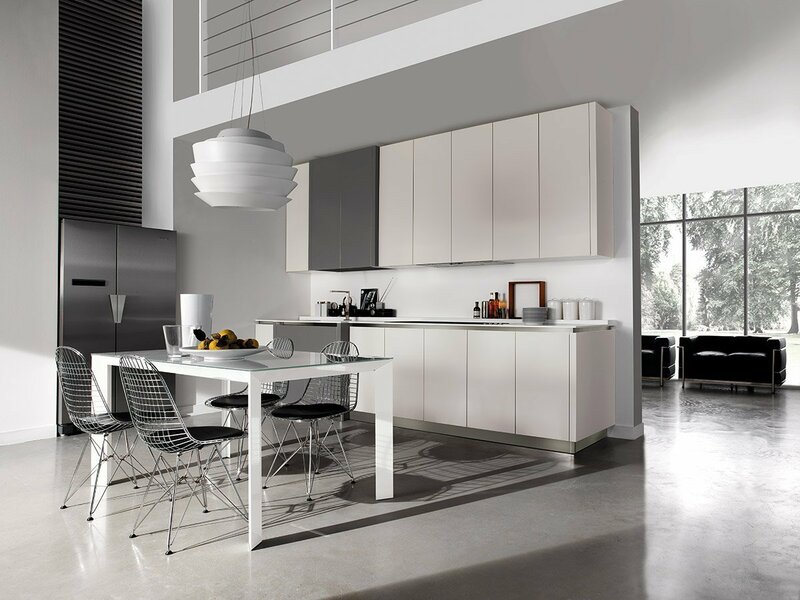 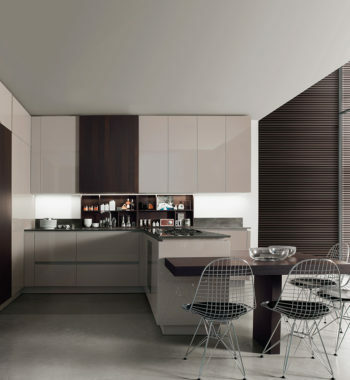 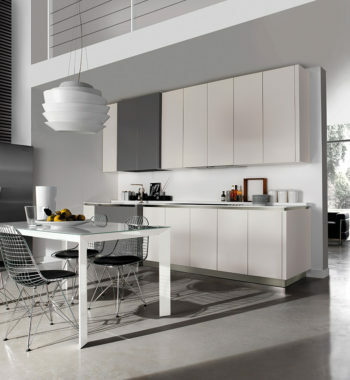 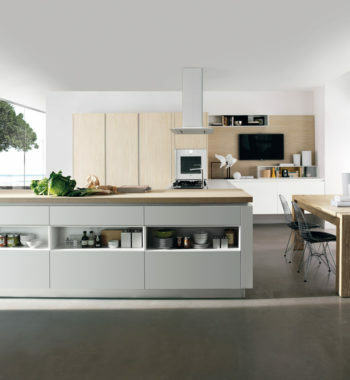 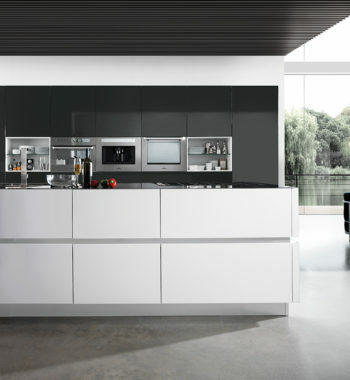 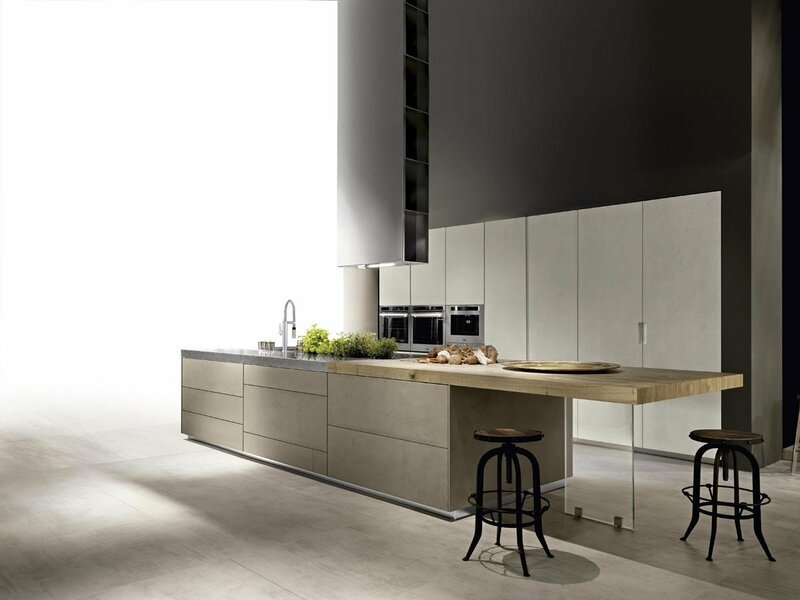 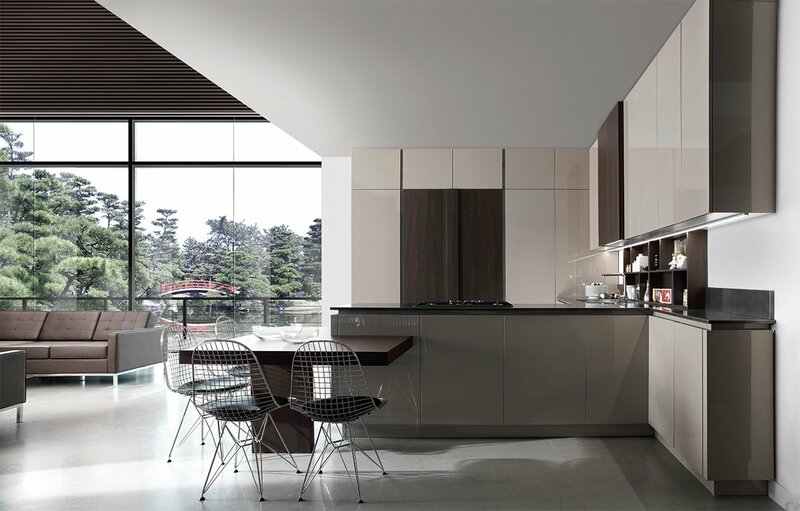 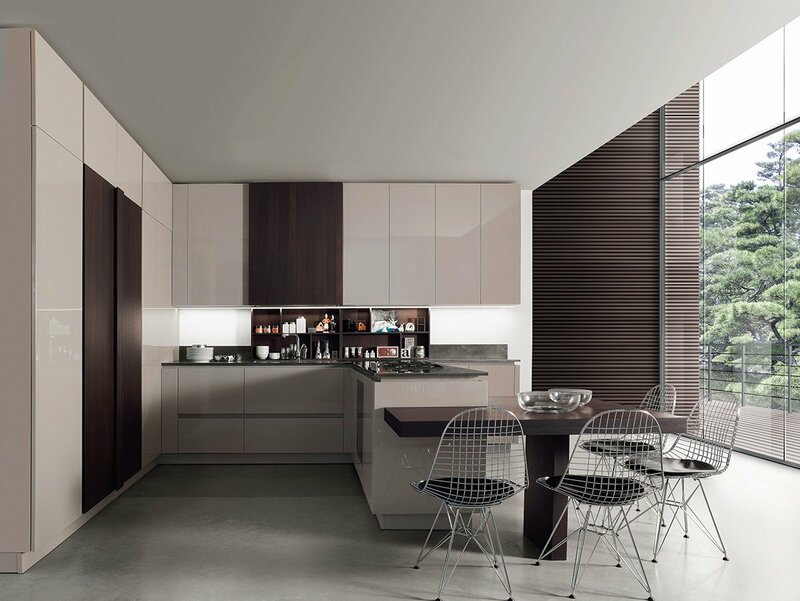 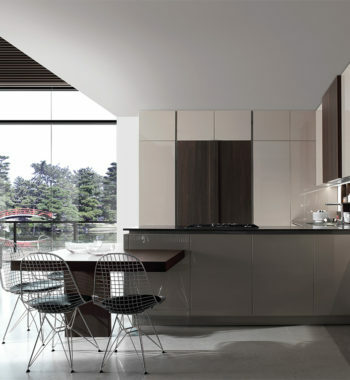 The wall units are in olive gloss lacquer and the worktop is in lasa white gold grain. 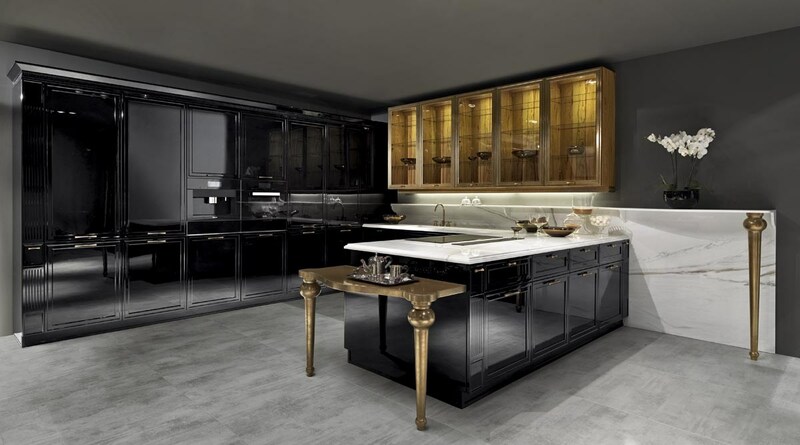 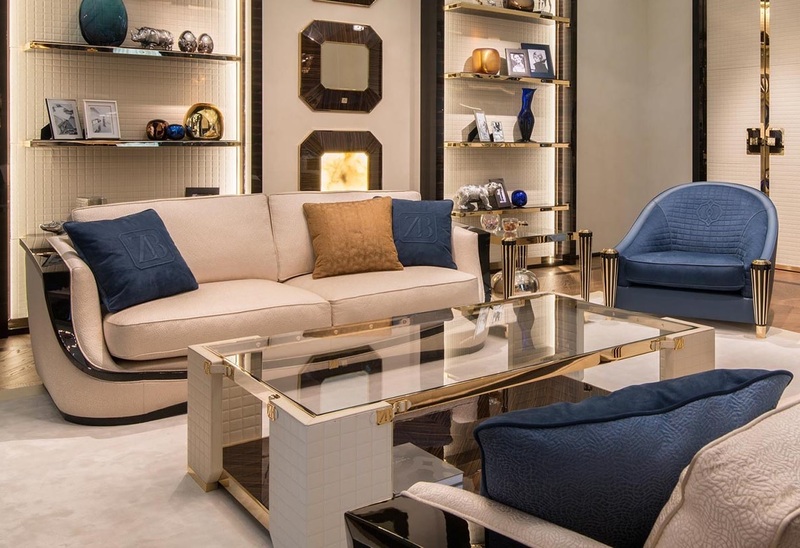 Bronze glass cabinets with bronze glass. 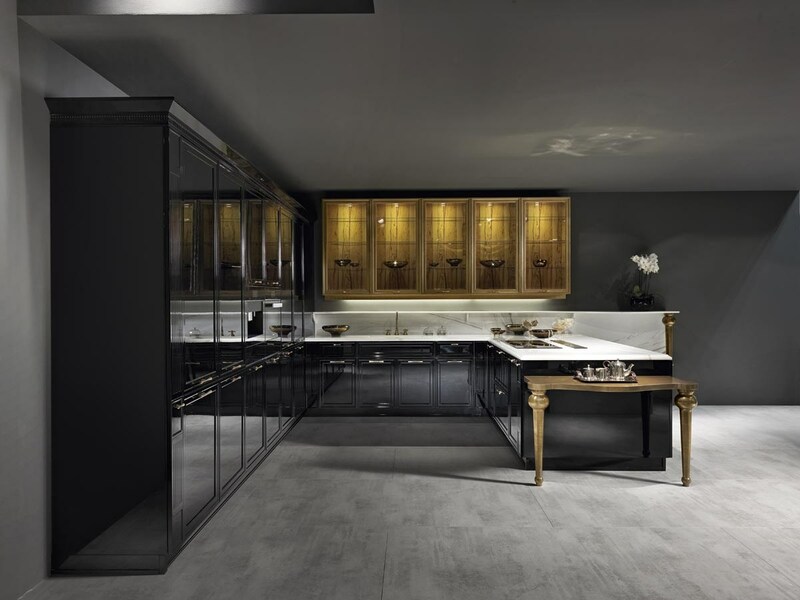 The elegance of classic door, reinterpreted in a contemporary taste: innovative materials joining together in romantic lines.